Connecting Scotland’s Sounds: championing the preservation and sharing of Scotland’s sound heritage with support from the Esmée Fairbairn Foundation. Local Voices will be returning to its roots as a community engagement organisation this autumn through partnership with the National Library of Scotland, in an effort to bring the nation’s rich store of archival recordings of Scots-language traditional songs to life in the areas in which they were originally collected as much as sixty years ago. The National Library of Scotland has for some years now been developing a national strategy to secure the country’s audio heritage and coordinates the Scotland’s Sounds network of organisations and individuals with an interest in Scotland’s archive sound recordings.. As part of their recent work, a new initiative called the Connecting Scotland’s Sounds project, supported by the Esmee Fairbairn Foundation, aims to champion the preservation and sharing of Scotland’s sound heritage. The project’s training programme for sound archivists and engagement activities for a range of audiences run from summer 2016 to summer 2017. To help the Scotland’s Sounds network achieve its aims, Local Voices has been commissioned to deliver schools workshops on Scots-language songs as found in a number of different sound archives. 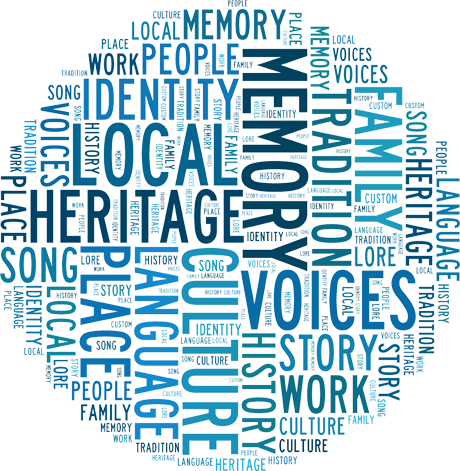 The goal is to simultaneously highlight the value of the Scots language and its culture to young people, while also demonstrating the importance of audio archives as a resource for education and community engagement with audio heritage. We will also be partnering the Scots Language Centre to maximise the legacy of the workshop outputs. We will be working in Dundee, Angus and Fife starting in autumn 2016, and will share some of the outputs of our collaborations on our website.